Hello and welcome back to the show. 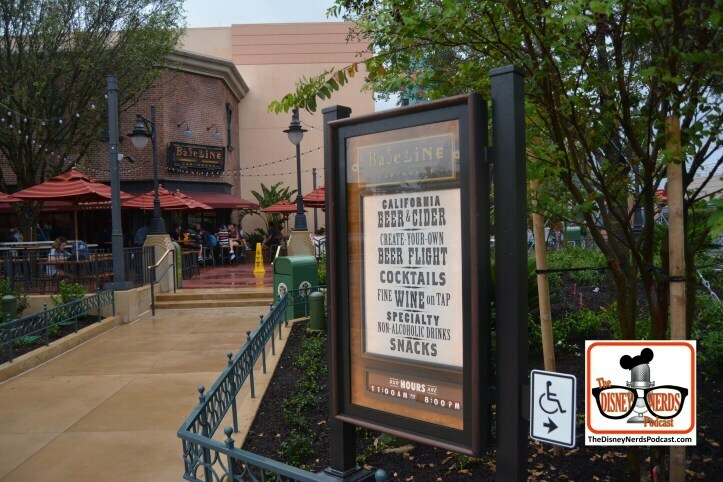 This week we hear more great News from Disney, Morgan tells all about the Star Wars Rival 5K and we finish up The Disney Nerd Dining Madness Sit-down and Character Tournaments. Hi guys and welcome to this weeks show. It's our 5th year anniversary show! Whooooo Hoooooo! Join as we sit down and have a drink and talk about the last 5 years. Thanks for listening and being part of that! Join us this week as Morgan, Sam and Ed let you know everything they saw, did and want to do again in the new Toy Story Land at Walt Disney World's Hollywood Studios. Join Sam and Charlotte as they get the info and experience two new locations in Disney Hollywood Studios. The re-imagineering of One Man's Dream sounds like a great change. The opening of the new Baseline Tap House sounds like an Incredible thing. Listen in as we hear some great interviews. Phil Holmes VP of DHS and many more. Hi Guys and Welcome to Show # 177! This week we revist the topic of See It - Fix It. We all walk around the parks and notice little things that we see and with a little Fix, can really plus something. We give some of our Ideas and we want to hear yours. Please go to our Facebook page; https://www.facebook.com/thedisneynerds/ and leave a comment about what you've see at the parks that a quick Fix could make great. Each comment enters you into our contest. Winner gets a Disney Nerds Podcast Shirt from our great supplier Joe over at Spady Creations. https://store11169144.ecwid.com/ Runner ups get a DNP decal. Contest runs through Sunday April 2, 2017 11:30 pm. Welcome to Show # 101. On this show we talk all about the recent Biography that was on PBS this week about Walt Disney. It was great! Hello and welcome back to the show. This week with the help of Rod Wheaton from the WDWMouseneger podcast we preview the upcoming Food and Wine Festival coming to Epcot. There are is a lot of great information and some really good sounding food and drink. On this weeks show Jen interviews Jeffrey Epstein and gets a lot of information about D23 and the upcoming event this August. Enjoy! Come along with Sam and John as they take on Star Wars Weekend #1 at DHS. This is them in the park LIVE. Thanks for listening!